Sales is a position which requires a number of unique qualities, including confidence, assurance and determination, amongst others. Its qualities such as these which allow salespeople to engage with potential customers in order to sell their products. A common problem affecting many individuals within the industry is feelings of fear and doubt at the prospect of reaching out to new or even existing clients. 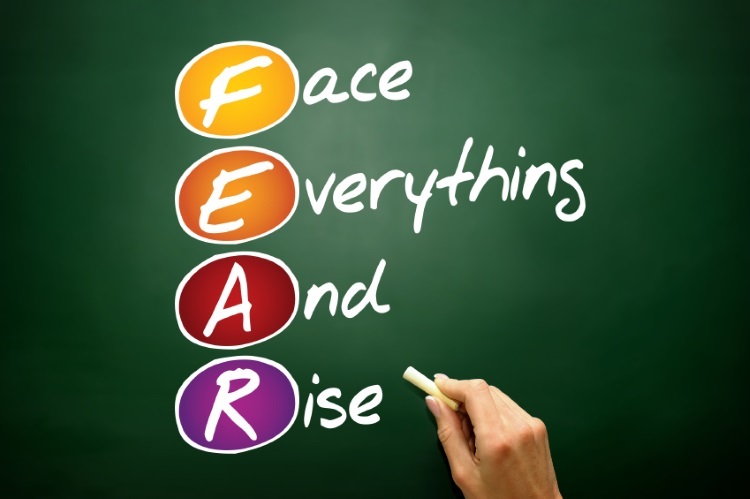 Sometimes fear can be a good thing as it keeps you focused but if its holding your career back and affecting your sales figures it’s gone too far. Fortunately, there are ways around this problem but they can require hard work. One of the most common ways in which fear can affect you is through distraction. You feel uncomfortable picking up the phone to call a client so you decide to clean the office or reorganise your desktop. Procrastination is basically just a stop gap, it’s your brain trying to buy you some time but it only makes the problem worse. If you avoid picking up the phone and calling a potential customer than there is a 0% chance that you will make a sale. Just picking up the phone will improve those odds drastically. Recognising your procrastination is the first step to beating it. The best way to remedy distraction is through planning and setting targets. If you feel yourself slipping, create a target for that day for a set number of phone calls made to potential clients. This will help you to focus your mind and is a healthy distraction which won’t affect your work. Another problem which can plague salespeople is a lack of confidence and this can manifest in a number of different ways. Some people may be uncomfortable talking to people, both on the phone or in person for fear of annoying them or wasting their time. Sales often requires a high level of assurance and this can sometimes come across as pushy or even stubborn and this can also make some salespeople uncomfortable. Finally, some people may have doubts about their product or feel that they are ‘overselling’ its attributes. All of these fears are natural due to the perception of salespeople within society but they don’t have to apply to you. The best way to overcome your fear of annoying customers or wasting their time is just to make sure you don’t. Develop a technique which doesn’t focuses less on brute force and more on finesse. Talk to your client like you would a friend or college and create an opportunity in which you can offer them a solution. The only way to sell with complete confidence is with complete faith within your product. The only way to guarantee this is to avoid products or services you don’t believe in. However, you may be advertising a perfectly good product but your fear is causing you to underestimate it and your selling power. These feelings are to be expected but often disappear after more experience within the role. One of the most prominent fears within sales is a fear of rejection. Whether you are ringing phones, knocking on doors or pitching proposals, you are going to face rejection- it’s a constant within the industry. The way to tackle this problem is by understanding what rejection actually means. Rejection within your normal day to day life is different than somebody saying no to a product. Think of all the times you have said no to salesperson and brushed the event off like nothing. Treat every rejection as a stepping stone because it means you are one step closer to getting a yes. This entry was posted in Uncategorized on January 4, 2015 by First Directory.